Our phone number is 773 248-7733. If coming from the north: From 90/94, exit Keeler/Irving Park. Take the second left off the exit ramp. If coming from the south: From 90/94, take the exit marked "Pulaski Irving Park." 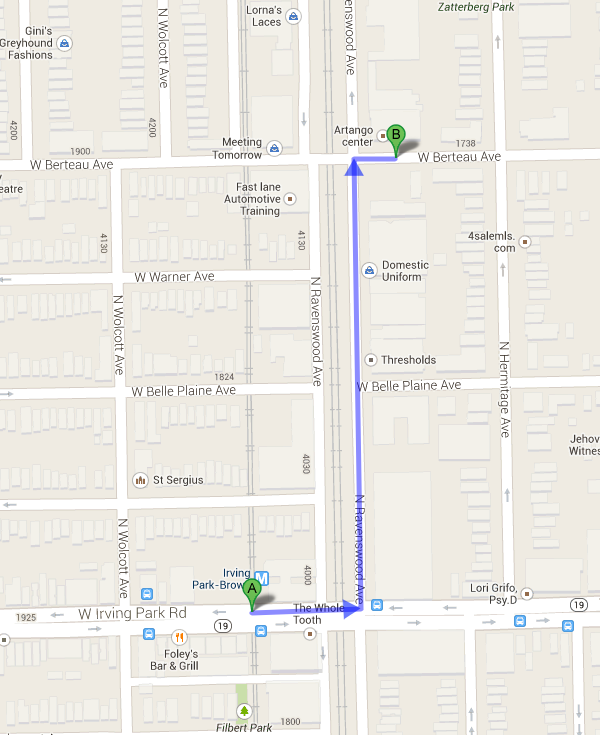 In either case, after exiting 90/94 go under the Metra tracks and take a left onto Ravenswood. 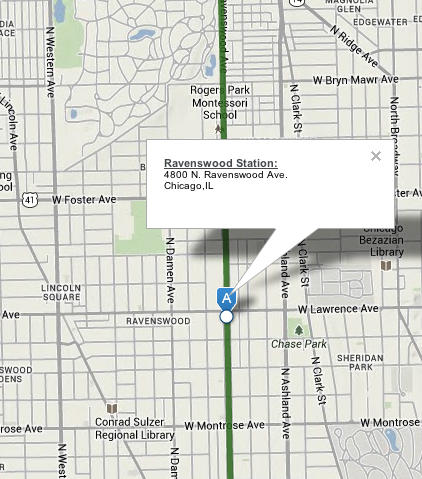 We are about three-quarters of a mile south of the Ravenswood stop on the Union Pacific / North Line of the Metra. 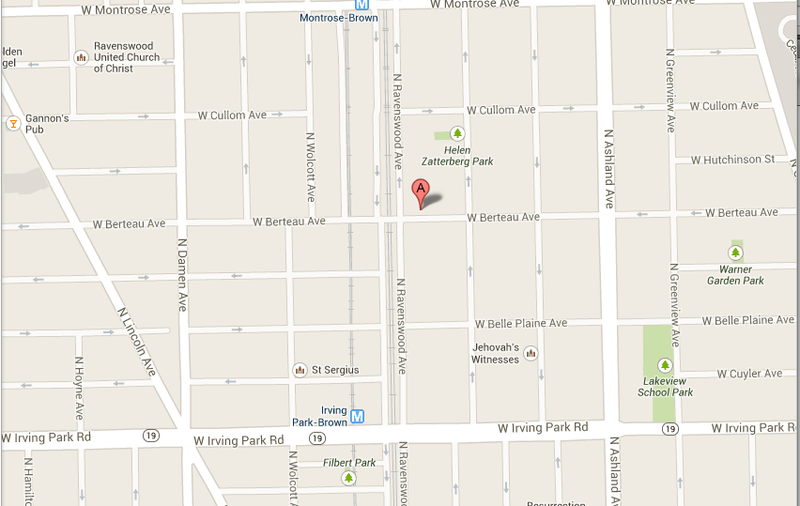 We are about one-third of a mile north of the Irving Park stop on the Brown Line.